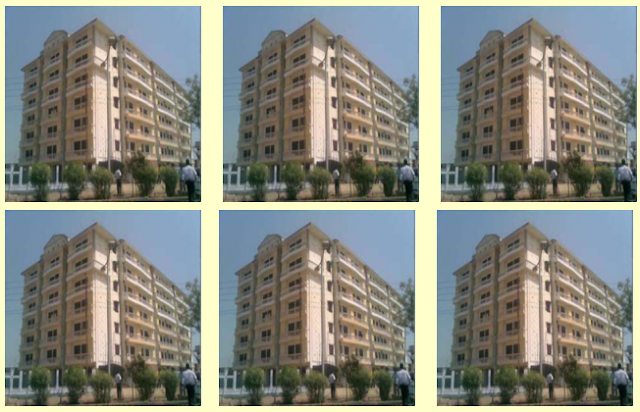 Agra city is an important tourist place in terms of historical and architectural attractions in its precincts. Area Agra is 4082 sq.km. Rainfall is average yearly 66 cm. Agra Fort is a UNESCO World Heritage site. The fort is also known as 'Lal Qila', Fort Rouge and Red Fort of Agra. According to Abul Fazl, a historian during Akbar's reign, this brick fort was in a ruined condition and was known as Badalgarh. Some of the most historically interesting mix of Hindu and Islamic architecture can be seen here. The Islamic decorations here feature forbidden images of living creatures - dragons, elephants and birds, instead of the usual patterns and calligraphy seen in Islamic surface decoration. The Agra Fort plays a key role in the Sherlock Holmes mystery, 'The Sign of the Four' by Sir Arthur Conan Doyle. Being the first planned Mughal city. Its immaculately preserved fort and palaces that were abandoned by Emperor Akbar due to a shortage of water supply for the city. Being recognised as a World Heritage Site (UNESCO). Akbar's secular vision and style of governance is in full dislay at Fatehpur Sikri. Various religions and architectural styles are visible throughout the royal complex. Many childless women of all castes and religions come to visit the Tomb of Sufi saint Salim Chisti to pray for his blessings. The city, far away from the Yamuna River, was abandoned due to shortage of water. It was built by Akhbar the great. There are number of buildings in Fatehpur Sikri built mostly with red stone. The compound has small palaces which were built for specific purposes. Naubat Khana: it is the drum house situated near the entrance where important arrivals are announced. Diwan-i-Am: it is the hall for public audience which is found in most of the Mughal buildings with large open space. Diwan-i-Khas: it is hall of private audience and it is famous for its decorated pillar consisting of 36 elegantly carved brackets made in Gujarati style. Marium-uz-Zamani: this is built around courtyard for complete privacy made in Gujarati style. Panch Mahal: it is a five storied impressive structure which has 176 carved columns on the ground floor. It is the most fascinating building in Fatehpur Sikri. Buland Darwaza: it is a huge gateway to Jama Masjid which is a fantastic piece of architecture and it is termed as “gate of magnificence”. Jama Masjid: it is a mosque where Muslims follow prayers everyday. Tomb of Salim Chisti: it is the white marble encased tomb of Salim Chisti who was Sufi saint and also the person who was very honored by the great Akbar. Taj Mahal appears pink in the morning, white in the day and changes its color to golden in the moon light. The pillars surrounding Taj Mahal are slightly tilted outwards so that in the event of an earthquake they will fall away from the tomb. Over 1,000 elephant were used to transport building materials during the construction. The Taj Mahal in India is perfectly symmetrical, except for one thing. The two tombs inside are not equal in size. This is because the male tomb has to be larger than the female tomb. The Taj Mahal costs in today’s money about US $100 million. It took 22 years and 22,000 people to complete the Taj Mahal. Emperor ordered to chop off the hands of the workers who had constructed the Taj Mahal so no one could make anything like it. Taj Mahal was built by Mughal Emperor Shah Jahan, in the memory of his beloved wife, Mumtaz Mahal. Apart from being a UNESCO World Heritage Site, Taj Mahal is one of the Seven Wonders of the World. The construction work on Taj Mahal was started in the year 1632 and carried on for the next 16 years, ending in 1648. The main entrance gate of Taj Mahal faces the Southern gate and is 151 feet by 117 feet. It rises to a height of 100 feet. The cost of construction of Taj Mahal, even at that time, came to 32 crore rupees. 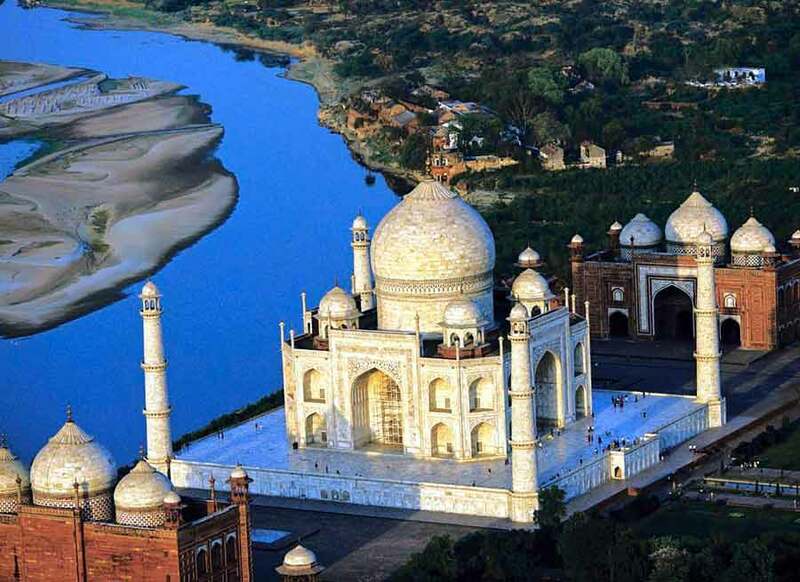 Shah Jahan got Red sandstone from Fatehpur Sikri, Jasper from Punjab, Jade and Crystal from China, Turquoise from Tibet, Lapis Lazuli and Sapphire from Sri Lanka, Coal and Cornelian from Arabia and Diamonds from Panna, for Taj Mahal. The main red sandstone gate of Taj Mahal is 30 feet high and stands adorned with verses from the Koran, in Arabic.